BBQ grill disposal options. Ever think about such a thing? Probably not. That is, until there’s no denying that old outdoor grill is just way beyond saving. (Or, you simply can’t wait any longer to upgrade to the latest and greatest.) When it’s time to let go of your grilling apparatus, you’ll quickly discover it’s not a hot, in-demand item. Actually, it’s downright repulsive and that presents a really big problem. Good thing there are a few BBQ grill disposal options. Now, if you want to hold onto that handy outdoor appliance for a bit longer, that just might be a real possibility. After all, it’s just a shell with some components. As long as the grill itself is in salvageable condition, you could rehabilitate it for continued use. But, you’ll need to first run the numbers. Chances are excellent that replacement will cost more, but this certainly isn’t always the case. Another consideration to factor into the equation is if it’s even worth the time and effort. In other words, you might well strip it down, replace the necessary parts, and give it a new lease on life, but will it actually meet your needs? Think about this because it’s the deciding factor in replacement. Fix it up and use it more. Replace the cooking grate with a new one. Also, replace the rock gate and install a new igniter, along with a new burner assembly. Be sure to clean up the housing itself to make it work. Junk it and replace that old grill. Another option is to just give it up and junk it out. While you’re at it, you can offload a bunch of other stuff you don’t want and/or can’t use. 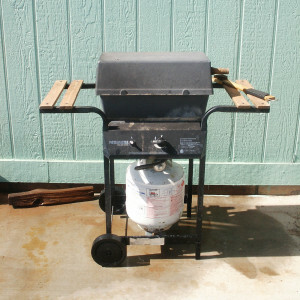 If you need to junk a BBQ grill, go ahead and phone 800-433-1094 or visit Junk Garbage Removal.